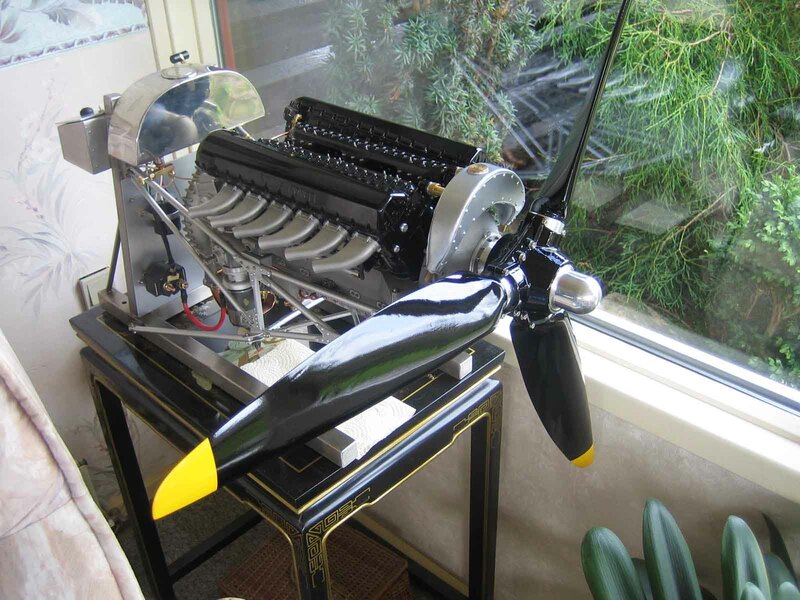 http://www.jeanpierre.cousinet.free.fr Here's a French fellow who is building a really fantastic scale Spitfire. http://www.carlbest.com/weirdstuf/merlin.htm This page was found while doing a web search on 'quarter-scale merlin'. It shows a running engine built with the castings. It does not say who built the engine, unfortunately. In case the site goes away, a copy is located here. http://www.mcdanielrc.com Bob MacDaniel makes glow plug drivers, and has built a system for a Quarter-Scale Merlin built from Dynamotive castings. 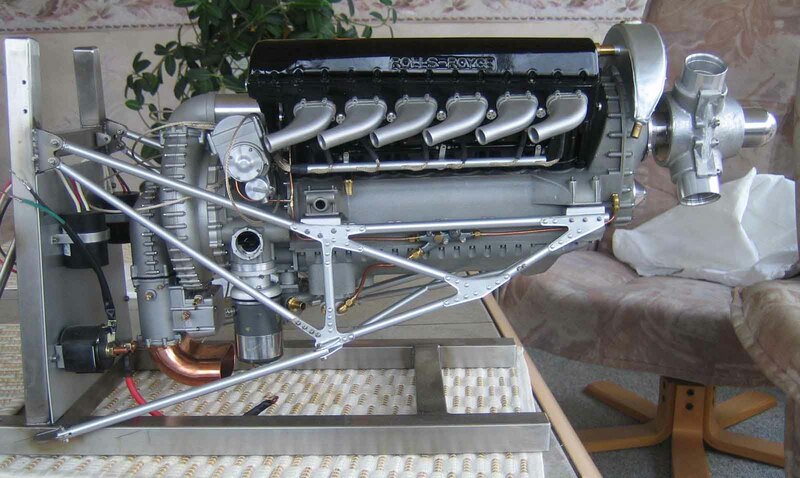 There are several photos of the completed engine. http://www.clarkindustries.on.ca Clark Industries' main product is propellers, both for full-size planes and models. They made the scale Spitfire propeller used on the prototype Quarter-Scale Merlin, and they are planning on making a scale P-51 propeller. They also make very complete kits for a 1/4-scale Spitfire and Hurricane. The Merlin: Rolls-Royce and Quarter-Scale Some history of the Merlin, and more info about the Quarter-Scale Merlin. For people who like to read.